We studied the effect of SIRT1 deacetylase and PPARγ receptor activators on proinflammatory (M1), anti-inflammatory (M2) polarization of RAW264.7 macrophages and their modulating effects on insulin sensitivity of adipocytes. In M1 macrophages, the expression of TNFα and CXCL9, secretion of CXCL11, ROS generation, and content of dendritic-like cells were elevated. In M2 macrophages, expression of IGF-1 and ALOX15 factors was enhanced. SIRT1 activator (DCHC) and PPARγ receptor ligand (rosiglitazone) reduced expression of inflammatory markers TNFα and CXCL9 and increased expression of IGF-1 and ALOX15. SIRT1 inhibitor Ex527 increased the proportion of dendritic cells in macrophage populations. 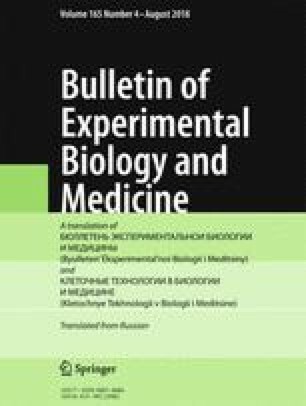 The paracrine effect of M1-macrophage-conditioned media attenuated insulin-dependent phosphorylation of threonine (Thr308) in Akt kinase and enhanced phosphorylation of serine (Ser473). This effect was attenuated by DCHC and rosiglitazone.